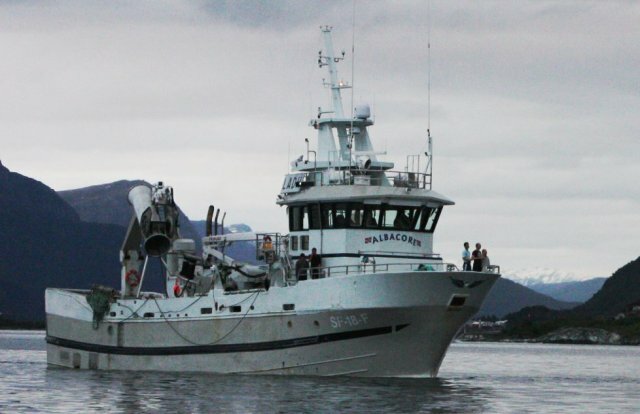 The 26 meter long fishing vessel Albacore became disabled off Bulandet, Norway. The Albacore had lost steering when its propeller had become fouled. The crew alerted authorities who dispatched a lifeboat to the scene. The Albacore was taken under tow and proceeded to Herland. There divers were were able to clear the main propeller. No reports of injuries, damage or pollution released. 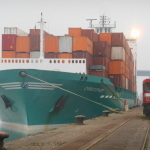 On December 1, the 171 meter long container ship Christopher ran aground on the Kiel Canal at Neuwittenbek, Germany. 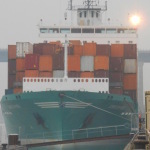 The boxship had struck the embankment blocking traffic on the canal. Two tugs, the Kiel and Holtenau, were dispatched from Kiel to refloat the Christopher. 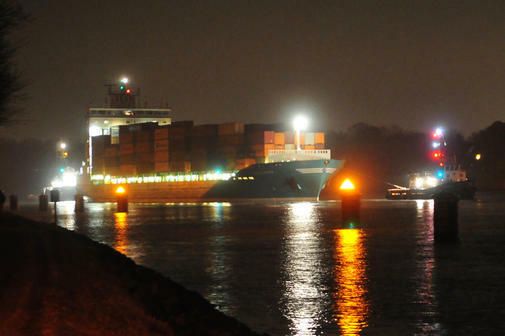 The two tugs pulled the boxship free and proceeded to Kiel where the Christopher was inspected for damage. No reports of injuries or pollution released. 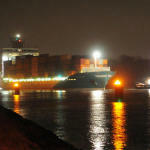 The Christopher was en route to Bremerhaven from Gdynia.